The last several weeks I have been working on getting ready for my first local art show which is coming up next weekend. This is an annual event where local artists display and sell there work. I made it a personal goal to be part of this show this year and worked really hard to get here. I’m a little nervous about opening myself up to the public scrutiny, but also about having to stand there all day and interact with people since I’m a bit of a social leper. What can I say, I’m an engineer. In order to get ready, I had to do some minor touch ups on some completed pieces and print out some write ups about each piece and a price list, so that’s what I’ve been doing most of the day today. 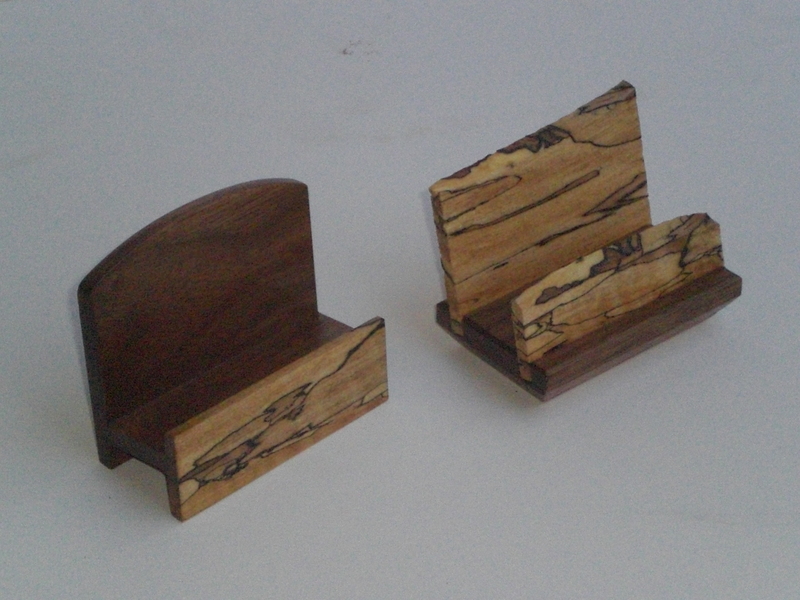 A couple weeks ago I spent a few hours and made these two business card holders out of some scrap walnut and spalted maple. 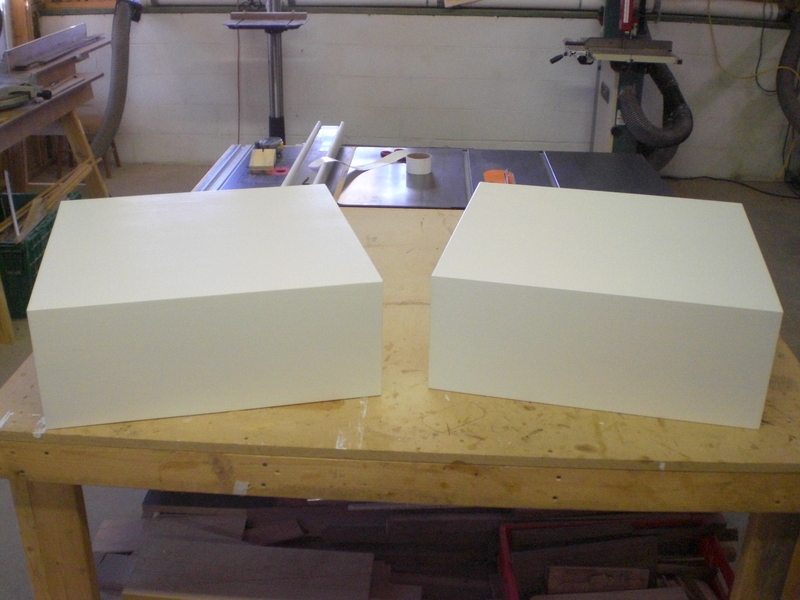 I also decided to make a couple pedestals to elevate my dining chair and end table pieces. These were pretty quick, just MDF and some paint! So I think I’m as ready as I can be at this point. Hopefully I’ll sell something and have a little more tool money.